We are looking forward to taking our Annual Convention to Glasgow from 6 – 8 February 2019 in partnership with Glasgow Life. Glasgow is a city bursting with life, energy, passion and personality. 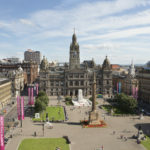 From its unrivalled arts and music credentials, to its world-class museums and galleries, rich architectural heritage, outstanding food and drink scene, and thriving accommodation sector; Glasgow is undoubtedly Scotland’s cultural powerhouse and one of Europe’s most vibrant, welcoming and dynamic centres. 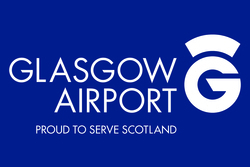 Positioned at the heart of major air, rail, sea and road networks, Glasgow is also the gateway to Scotland and a perfect touring base for visitors to explore the country’s spectacular rugged landscape, with the natural and scenic beauty of Loch Lomond, Burns Country and historic Argyll on its doorstep. With so much on offer, it’s easy to see why the New York Times ranked Glasgow in the top 10 of its 52 must-visit destinations in 2018. The Convention will be held at the Glasgow Royal Concert Hall, and delegates will be accommodated nearby at Principal Grand Central Hotel and DoubleTree by Hilton Glasgow Central. Delegates can look forward to a fun music-themed networking evening at Argyle St Arches on Wednesday 6 February, and our Awards for Excellence Gala Dinner will be held at the stunning Glasgow City Chambers on Thursday 7 February. We are delighted that Virgin Trains are kindly offering 25% off rail travel to and from Convention for delegates. Please contact events@ukinbound.org for the promotional link.